Dwight nearing his return for the Wizards. 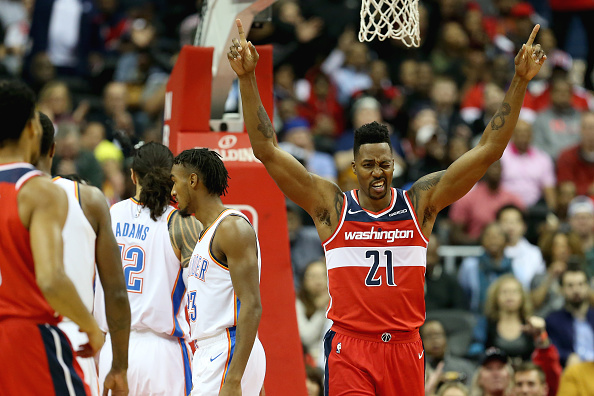 Washington Wizards center Dwight Howard is reportedly ready to begin some on-court activity, according to The Athletic's Shams Charania. Howard, 33, underwent surgery on his spine in November and has been rehabbing in Atlanta since then. Howard has appeared in just nine games for the Wizards this season, averaging 12.8 points and 9.2 rebounds per game during that time. In his 14 previous NBA seasons, Howard has earned eight All Star and eight All-NBA selections, to go along with five All-Defensive Team selections and three Defensive Player of the Year awards. Washington could certainly use a bigger defensive presence, as the team ranks 26th in the league in defensive rating, according to NBA.com. The Wizards, who are also playing without John Wall for the remainder of the season, are currently sitting at 24-34 (three games back of the eighth seeded Detroit Pistons) as they prepare to take on the Hornets in Charlotte on Friday night.